ArcticInsider - Is it the End or the Beginning? Same feelings here. I don't like summer for many reasons. I have the Wildcat 4 to ride but I prefer to ride snowmobiles. One exciting thing until then is getting my new Cat! I will be dialing in my backflip tricks off the dock this summer. Wish I had a foam pit. I've been collecting old couches and throwing the foam into my dads barn. yeah I feel the same way...we put the Tucker away in the grooming shop, put the sleds all away took my 1975 Honda Elisnore for a rip down the snowmobile trail behind my house, pulled my 1965 Arctic cat TOM CAT out to restore over the summer so my therapy continues, on the bright side its only 214 days til the trails open in Minnesota again...in life we have to have things to look forward to and winter is that for me! For me the July 4th holiday is the turning point...the end of looking back on the previous winter of the fun I had and also all of the shoulda-coulda-woulda's. 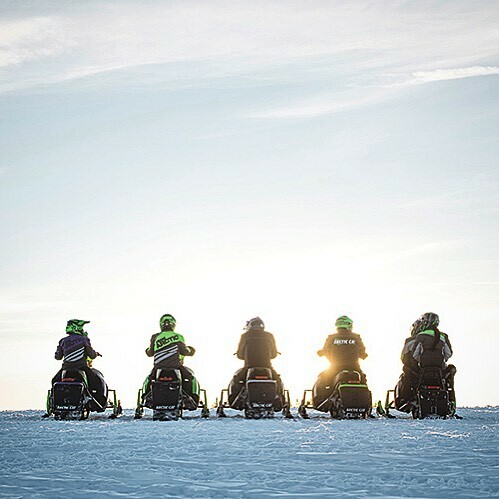 When the sun rises on July 5th my mind immediately flips to first grass drag events, first frost, planning first ride, fine tuning my gear, dreaming of trips I wanna take and the such. New for this year I'll probably order my Wisconsin trail permit online so my riding friends don't ditch me at the Kwik Trip again!